Col. Alois Hammer's indomitable Slammers are called in to support human colonists against a native uprising in this novel-length adventure. But even though the natives' off-world weapons are no match for the Slammers, their ability to teleport gives them a frightening advantage! 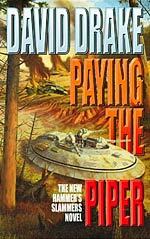 The hottest science fiction mercenaries of the decade are back, so why count the cost? The other guy is going to pay for it! 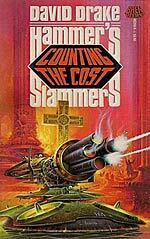 Hammer's Slammers must win a two-front war while maintaining the civilian power structure against hordes of religious fanatics. Colonel Hammer has only a mixed bag of recruits and battle-fatigued veterans to relieve a district capital that has to be rescued. 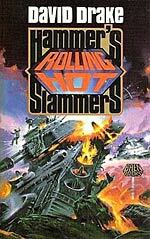 Rolling Hot is sure to follow the success of David Drake's Hammer's Slammers (nearly a million in print) and the bestselling tie-in adventure game. 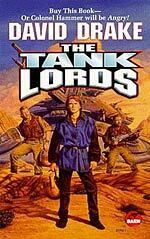 Colonel Alois Hammer, Luke Broglie, Tess Kuykendall, and Slick Des Grieux, cogs in a killing machine, find themselves at the center of a potential bloodbath. 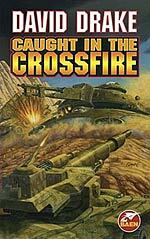 A tough, battle-scarred survey team arrives on Cantilucca--a place ruled by gangs and guns where things apparently can't get any worse--seasoned professionals ready for violence and able to destroy anything except their own consciences. COLONEL ALOIS HAMMER: He welded five thousand individual killers into a weapon more deadly than any other in the human universe. 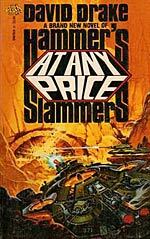 When a planetary government faces unfriendly natives, guerrilla insurgents, or ruthless terrorists, they do the only thing that might save them -- they hire Hammer's Slammers, the toughest, meanest bunch of mercs who ever wrecked a world for pay. 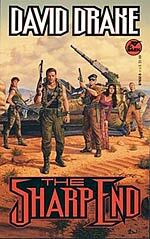 Known throughout the galaxy for their cold, ruthless ferocity, the men of Colonel Hammer's indomitable armored brigade routinely accept impossible missions. Again and again, they go up against overwhelming forces, or fight a two-front war against ferocious opposition, all without atomizing their civilian employers. Can they keep doing it? Not if they abide by the rules of civilized warfare...but nobody ever said the Hammers were nice. Even when their chances are not good -- those who oppose them have no chance at all! 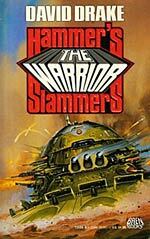 Mercenary leader Alois Hammer has created an armored regiment that wins battles--Hammer's Slammers. 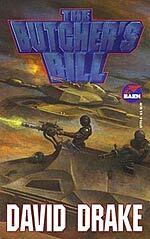 "Booklist" says "Drake's popular Hammer's Slammers series about futuristic mercenary tank troops . 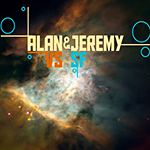 . . has produced some of the best in military science fiction". 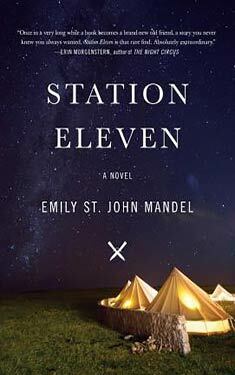 This book contains two novels, "Counting the Cost" and "The Warrior", two short stories, and a completely new novelette, arranged in the order the author finds most satisfactory. 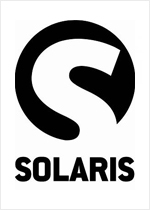 They were the best mercenaries in the galaxy. 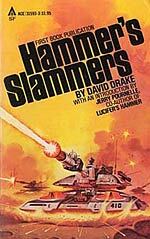 They were Hammer's Slammers! 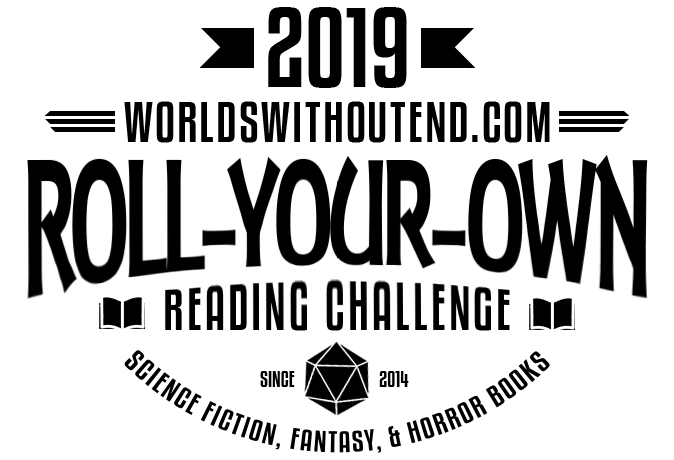 "The Butcher's Bill" contains a novel, two novellas, four short stories, and a new novelette written for the collection, in addition to an Introduction by the author.